Inchcolm New Music Ensemble at Heriot-Watt University in Edinburgh is an associate ensemble. The ‘Inchcolm New Music Ensemble’ is a music group working to create new music-making opportunities for performers and composers of all abilities and backgrounds. The ‘Inchcolm New Music Ensemble’ provides opportunities for playing, composing and improvising at the knife-edge of contemporary music making. The past 18 years has seen the growth of new music making at Heriot-Watt University through the formation of a group of musicians who have been very keen to get their hands dirty with becoming immersed in creating newly written music. We have an on-going special project where we commission new music in Scotland that has a starting point/inspiration from the magnificent Celtic plainchant that comes from Inchcolm, an Island in the Forth between Edinburgh and Fife. ‘Inchcolm’ means: Columbas’ Island, because St. Columba is supposed to have visited this island on his missions. Our concerts [an hour long] include the new music and the plainchant. It is deemed a good idea for the audience and the performers to have the inspiration as part of the presentation. The Inchcolm New Music Ensemble is seen as the flagship of music making at Heriot-Watt, reflecting the cutting edge of science and technology for which Heriot-Watt is celebrated. 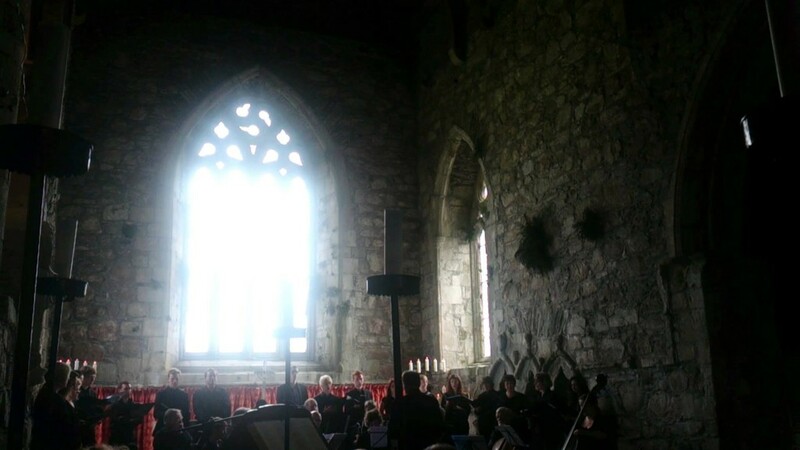 The group, consisting of HW students, staff and community, has given concerts in the St Magnus Festival in the Orkney Islands; Inverie in Knoydart; St Giles’ Cathedral, Edinburgh; the Isle of Skye; Ardtornish House; Iona Abbey off the west coast of Mull; Dunkeld Cathedral; Biggar; and Peebles. The INME toured the Czech Republic in June 2008 giving concerts in Prague, Brno and Kromeriz. To date, the Inchcolm New music Ensemble has premiered over 50 new works over 18 years, many being repeated at various times. This project highlights the University as a cultural centre of excellence, promoting living, young, exciting Scottish music, by people committed with boundless enthusiasm and talent.